As promised, Junichi Masuda, the director of Pokemon Black and White appeared on Japanese TV show Pokémon Sunday today to announce the next entries in the Pokémon series. They are Pokémon Black 2 and Pokémon White 2. News of the next Pokémon game could come as soon as this Sunday. The games are scheduled to release in June for Nintendo DS systems, in Japan. DSi and 3DS players will apparently be able to take advantage of extra features. 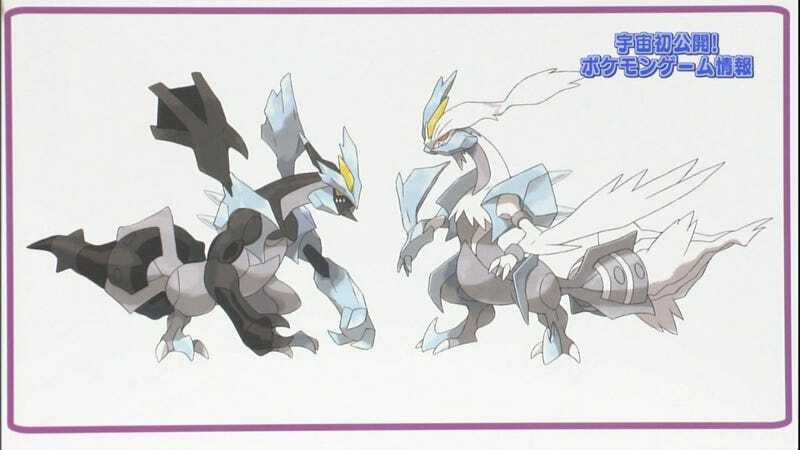 Website Siliconera also reported that Masuda's announcement revealed two new forms for Kyurem (pictured above), which will be the games' mascots. Their names will be revealed later. Check out the game's official site.